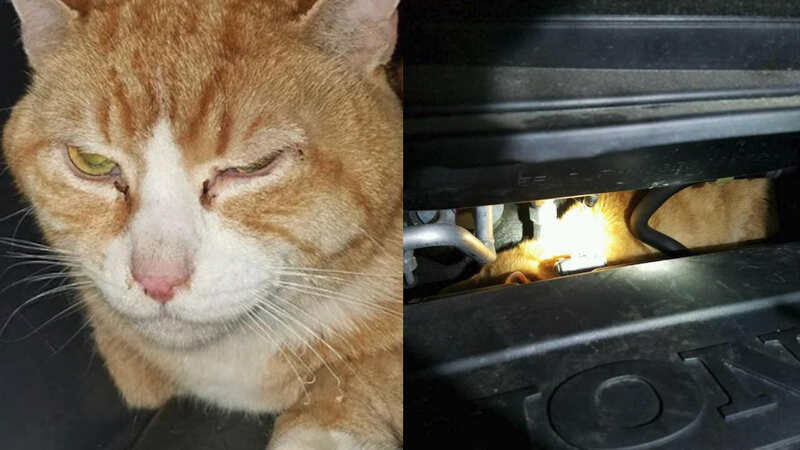 MANHATTAN BEACH, Brooklyn -- A cat named Gumbo is doing fine after stowing away in a minivan's engine compartment during a New York City family's upstate getaway. The head of the Warren County SPCA told The Post-Star of Glens Falls the family discovered the cat after arriving at The Great Escape Lodge in Queensbury Monday night. Gumbo is believed to have escaped from a cat carrier in Brooklyn's Manhattan Beach section during a trip to the vet on Jan. 14.